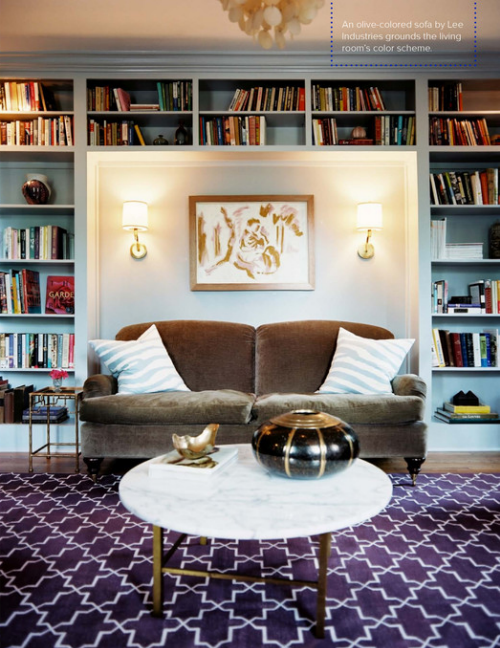 Inviting interiors with layered patterns, pops of modern and a pinch of vintage. 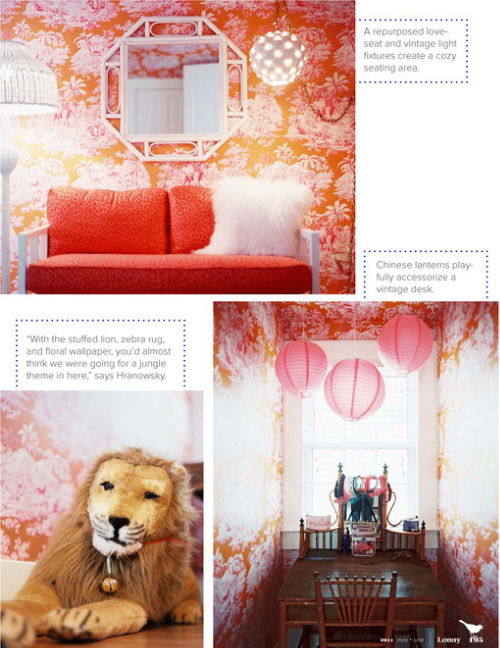 This is what comes to mind when I think of interior designs by Angie Hranowsky of South Carolina. The graphic designer, turned decorator overnight when images of her home graced the pages of Metropolitan Home. 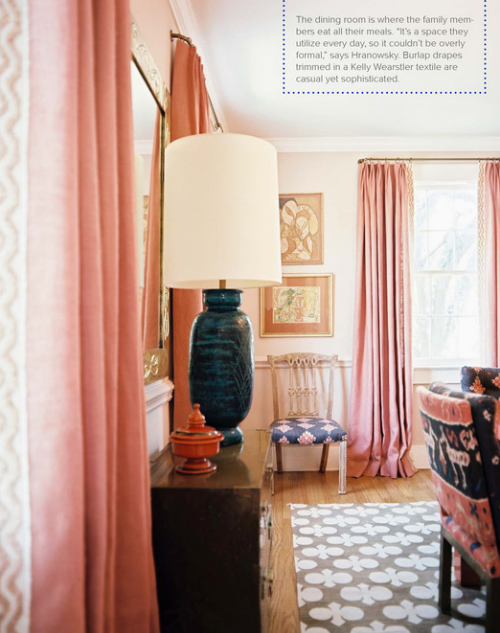 Most recently, a 1940s home decorated by Angie was featured in the May/June issue of Lonny. I live in ranch home built in 1940, so I really enjoyed seeing what she created. 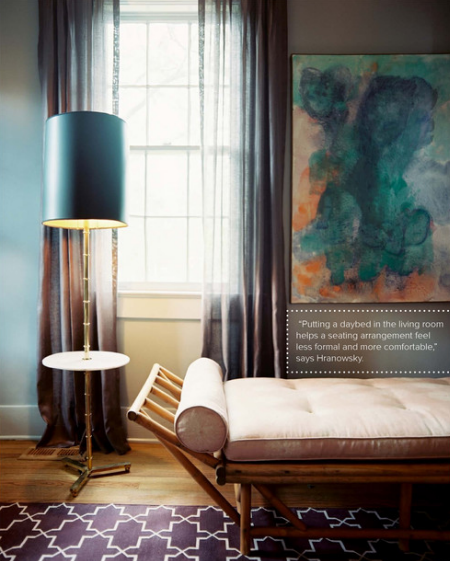 Here are just some of the images of the stylishly eclectic, relaxed, yet sophisticated design. Also, if you haven’t already, be sure to drop by Lonny to see their latest issue. It’s a treat. 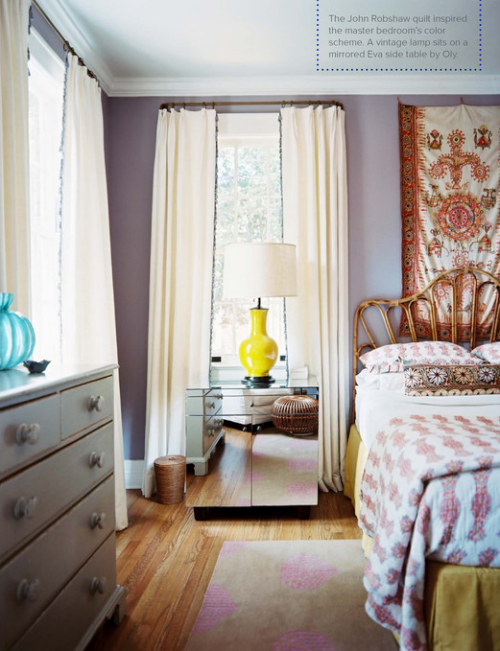 Another gorgeous interior by AH, I love all the Madeline Weinrib she uses! I know Cristin…it's so gorgeous! 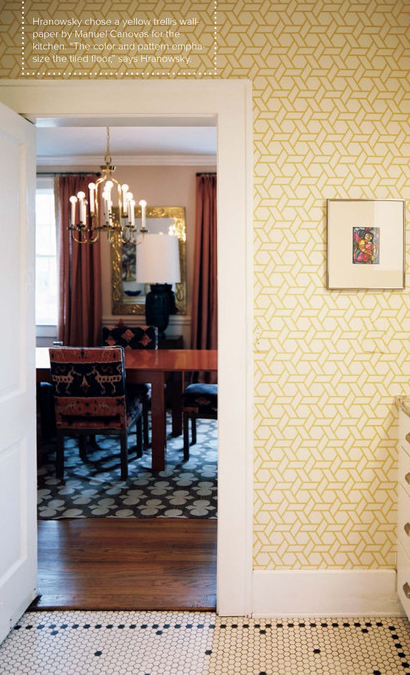 The yellow trellis wallpaper reminds me of the Quadrille AGA fabric….love it all.